Reform Patents! But In the Meantime, Hang Them On Your Wall. 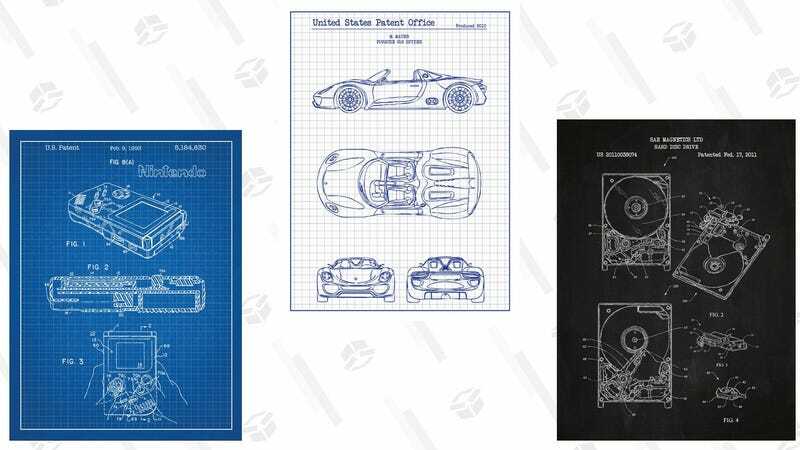 Inked and Screened’s patent prints are a gloriously geeky way to adorn your walls, and MassDrop’s running deals on three different kinds today. Choose your favorite video game console patent, the car of your choice, or choose from this grab bag that includes things like rocket ships and guitars. In addition to the patent, you also get to choose the color: chalkboard, blue grid, or white grid. Just get to the checkout screen to select your options.